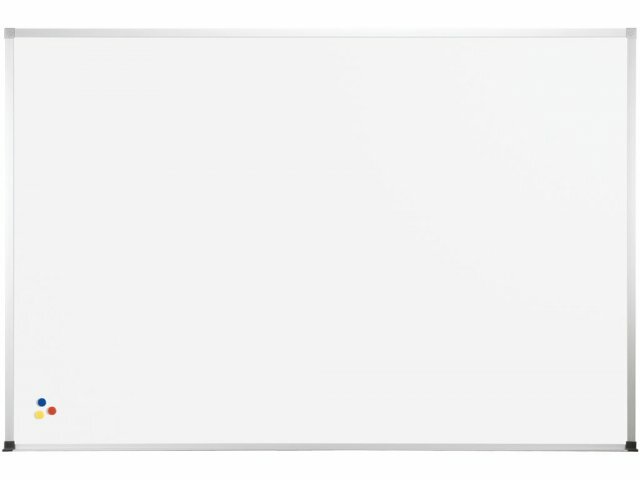 Post daily reminders, assignment lists and more on these quality whiteboards. The 33.75" x 48" size is perfect for teacher's lounges, resource rooms, offices and more. 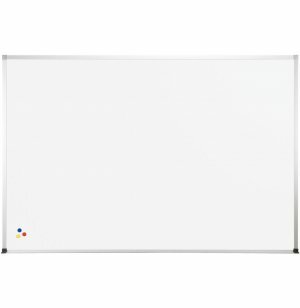 Get quality whiteboards at a price your budget can handle with the Magne-Rite Whiteboard from BestRite. Ideal for classrooms, lab environments, conference rooms and more, these dry-erase whiteboards are made of a PVC-coated steel that doubles as a magnetic board, too. The surface provides an exceptionally smooth writing experience with no-ghosting erasure, and the anodized aluminum frame adds a polished look. Includes black plastic end caps to eliminate sharp corners and prevent injury. Affordable: These whiteboards offer you solid quality at a budget price. 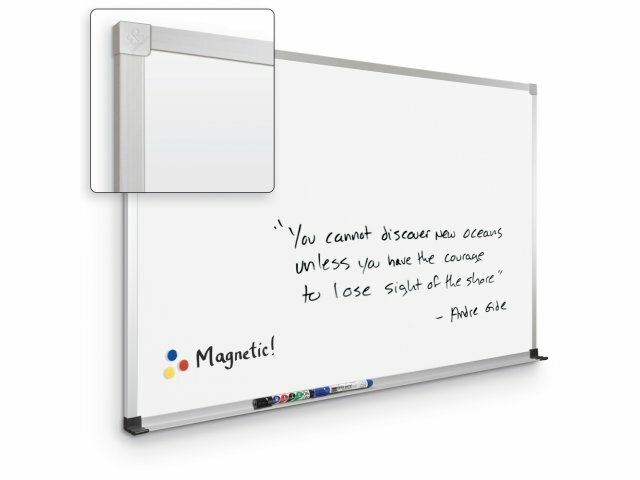 Versatile: PVC-coated steel whiteboard doubles as a magnetic board. Smooth: Surface provides an exceptionally smooth writing experience. Clean-Erase: Erases easily and cleanly, with no ghosting. Safe: Black plastic end caps on accessory tray eliminate sharp corners and prevent injury.